Rick Perry is a former governor of Texas who twice ran unsuccessfully for the Republican Party’s presidential nomination, in 2016 and 2012. Donald Trump nominated Perry to head the Energy Department shortly after his November 2016 election victory, a move that was widely criticized because of Perry’s hostility to the department, which he once argued should be eliminated. Observers have also expressed concern over Perry’s refusal to “accept the scientific consensus on the importance of reducing carbon emissions to slow the impact of human-induced climate change,” which they argue make him unsuitable for the post of secretary of energy. Perry has also staked out extreme view on foreign policy, defending the use of torture, arguing against the Iran nuclear agreement, and ridiculing detente with Cuba. Perry announced his intention to run for the 2016 GOP presidential nomination in June 2015; he dropped out a few months later, in September 2015. After dropping out of the 2016 primary, Perry publicly came out in support of fellow Texan Ted Cruz. He also repeatedly criticized Donald Trump, whom Perry likened to a fire-breathing dragon. Perry’s decision to launch a 2016 presidential campaign was made inspite of a then-ongoing criminal investigation in Texas for his 2013 attempt to oust a county district attorney who was investigating public corruption. Mother Jones reported in June 2015: “Last August, a grand jury indicted Perry for abusing his power as governor. Perry has repeatedly requested that judges dismiss the case, only to be rebuked as the allegations progress toward a trial—one that could play out during the heat of the GOP primaries.” The charges against him were eventually dropped. In August 2011, after he announced his candidacy for the 2012 Republican presidential nomination, Perry catapulted to the head of the Republican primary race. However, a series of high profile gaffes severely damaged his campaign and in January 2012, after poor showings in early primaries, Perry announced he was dropping out the campaign. He said he would throw his support behind Newt Gingrich, the main remaining rival to Mitt Romney for the nomination. Perry made headlines with a September 2011 speech to conservative Jewish leaders, during which he said: “Well, obviously, Israel is our oldest and most stable democratic ally in that region. That is what this is about. I also as a Christian have a clear directive to support Israel. So from my perspective, it’s pretty easy. Both as an American and as a Christian, I am going to stand with Israel.” Few mainstream politicians—despite widespread support for Israel—couch their language in such stark biblical terms. Before become Texas governor, Perry served as lieutenant governor under George W. Bush from 1999-2000, and before that was commissioner of agriculture in Texas from 1991-1999. Patrick Caldwell, “The Legal Trouble That Could Haunt Rick Perry’s Presidential Campaign,” Mother Jones, June 10, 2015,http://www.motherjones.com/politics/2015/06/rick-perry-president-indictment. 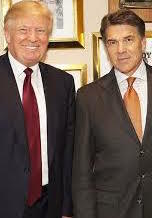 David Frum, “Rick Perry’s Biggest Advantage in 2016,” The Atlantic, October 20, 2014, http://www.theatlantic.com/international/archive/2014/10/rick-perrys-biggest-advantage-in-2016/381602/. James Carden, “Rick Perry Gives Hawks a Blank Slate,” The American Conservative, October 30, 2014,http://www.theamericanconservative.com/articles/rick-perry-gives-the-hawks-a-blank-slate/. Gerry Mullany, “Rick Perry on the Issues,” The New York Times, June 4, 2015, http://www.nytimes.com/2015/06/05/us/politics/rick-perry-on-the-issues.html?_r=0. James Lindsay, “Campaign 2016: Rick Perry, GOP Presidential Candidate,” Council on Foreign Relations, June 5, 2015,http://blogs.cfr.org/lindsay/2015/06/05/campaign-2016-rick-perry-gop-presidential-candidate/. [vi]Gerry Mullany, “Rick Perry on the Issues,” The New York Times, June 4, 2015, http://www.nytimes.com/2015/06/05/us/politics/rick-perry-on-the-issues.html?_r=0. 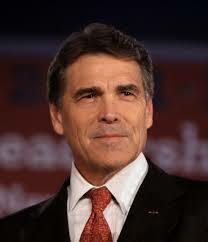 RickPerry.org, “Gov. Perry’s Remarks at Israel-Palestine Press Conference in New York City,” September 20, 2011, http://www.rickperry.org/news/gov-perry-remarks-at-israel-palestine-press-conference-in-new-york-city/. William Saletan, “Alliance for Christ,” Slate.com, September 21, 2011,http://www.slate.com/articles/news_and_politics/frame_game/2011/09/alliance_for_christ.single.html. Andrew Sullivan, “Perry’s Backs Great Israel – With Cowboy Boots On, Ctd,” The Dish, September 22, 2011,http://andrewsullivan.thedailybeast.com/2011/09/perrys-backs-greater-israel-with-cowboy-boots-on-ctd-1.html. Daniel Larison, “Clear Directives,” The American Conservative, September 21, 2011, http://www.theamericanconservative.com/larison/2011/09/21/clear-directives/. Daniel Larison, “Perry and Appeasement,” The American Conservative, September 21, 2011,http://www.theamericanconservative.com/larison/2011/09/21/perry-and-appeasement/. Jerusalem Post, “Texas Governor: Prosecute US flotilla participants,” June 30, 2011, http://www.jpost.com/Breaking-News/Texas-governor-Prosecute-US-flotilla-participants. Amy Gardner, “Perry: Send U.S. troops to Mexico to fight drug wars,” the Washington Post, October 1, 2011,http://www.washingtonpost.com/politics/perry-send-us-troops-to-mexico-to-fight-drug-wars/2011/10/01/gIQA2qDGDL_story.html. Steven L. Taylor, “Rick Perry’s Worst Idea Yet,” Outside the Beltway, October 1, 2011, http://www.outsidethebeltway.com/rick-perrys-worst-idea-yet/. Arlette Saenz, “Rick Perry Walks Back ‘No Heart’ Comment on Immigration,” ABCnews.com, September 28, 2011,http://abcnews.go.com/blogs/politics/2011/09/rick-perry-walks-back-no-heart-comment-on-immigration/. The Associated Press, “Perry: Terror plot shows border must be secured,” The Dallas Morning News, October 12, 2011,http://www.dallasnews.com/news/politics/perry-watch/headlines/20111012-perry-terror-plot-shows-border-must-be-secured.ece.